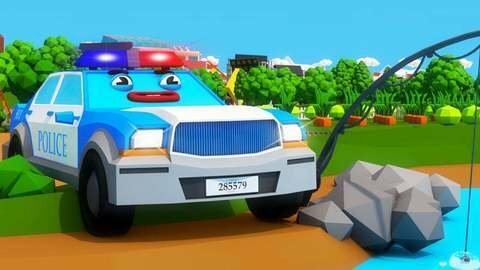 Watch the police car chase the naughty garbage truck in this funny car cartoon for kids. The naughty garbage truck is up to no good as he destroys the plants on the farm. He accidentally wakes up the fishing police car that chases him for his bad deeds. He thinks he can get away but he doesn’t see the huge rock standing in the way. Other free funny cartoons for boys and girls await you at SeeZisKids.com so visit them right away.